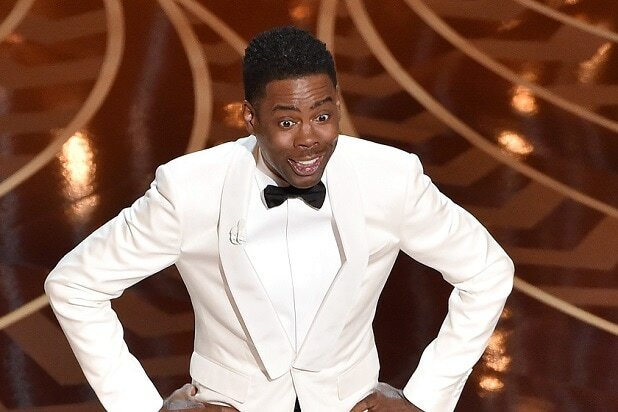 After weeks of #OscarsSoWhite controversy, it all came down to a few minutes on stage with host Chris Rock. The crowd at the 88th annual Academy Awards didn’t seem to know whether to nod politely or applaud. Unfortunately the momentum of Rock’s opening was lost by the time the first presenters, Charlize Theron and Emily Blunt, took the stage, proving once again that pairing random actors to read off a teleprompter isn’t always the best idea. But the show did have some good ideas. Rather than allowing the winners to ramble on and thank God and their 17 extended cousins, the nominees were all asked to provide a list of who they’d like to thank in advance, so those people could be thanked in a scroll. For the most part, it kept the speeches to a minimum. But still, some poignant moments were still interrupted, such when the winner for “A Girl in the River: The Price of Forgiveness” was cut off by the music just as she was talking about ending killings in Pakistan. Still, by the 45-minute mark only three awards had been given out. Thankfully, the show soon settled into a quicker pace. To make up for a lack of diversity on the ballots, the show aimed for diversity in presenters. Stacey Dash made a surprise, awkward appearance. And then there was Joe Biden, urging Hollywood to take a stand against sexual violence. Rock made sure his sporadic appearances were memorable, including in a funny Black History skit in which Angela Bassett praised Jack Black. Rock’s best segment was doing interviews on the street outside a movie theatre in Compton. He also spent an uncomfortably long time asking everyone to reach into their “millionaire pockets” to buy Girl Scout cookies. By the time Dave Grohl took to the stage for the In Memoriam and Lady Gaga graced the stage with a powerful performance of “Til it Happens to You,” it was clear it would be a long show. The show tried to play Best Director winner Alejandro G. Inarritu off the stage, but he ignored the music to make an impassioned speech about ending racism. Amid the strong moments, there was plenty of fat that could have been cut. But hey, at least everyone got cookies.